How Secure are Oregon Elections? Salem, OR—I recently returned from a meeting where I met with other Secretaries of State from around the country. As you can imagine, cybersecurity dominated our discussions. I was able to attend a briefing with National Intelligence, the Department Homeland Security, and FBI officials. Generally, the briefing focused on information that now has been made public in the indictment of 13 Russians. What is most significant to me from the information I received, which is now public, is the Russian conspiracy apparently was not to change the outcome of the election, but its purpose was to undermine American confidence in our electoral system. While Oregon was one of 21 states whose voter registration system was targeted, no access was obtained. There are new, unsubstantiated reports coming out that say seven states had their files compromised. The Department of Homeland Security has assured us that Oregon's voter registration database was not breached. After attending the briefing and comparing best practices from other states, I am confident that Oregon's voting system is a national leader in cybersecurity and protection from malicious outside intrusions. That said, we continue to evaluate and improve our security processes to ensure our systems are as secure as possible. The Department of Homeland Security and the FBI have confirmed that no vote tally systems in Oregon have been hacked. 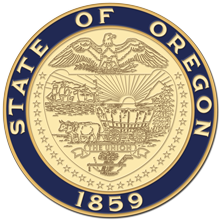 Since I assumed my duties as Oregon Secretary of State, each of the three elections that have taken place on my watch have been conducted without incident. In fact, Oregon's multi-layered systems have successfully protected our election systems for years and we continue to build our defenses to deal with new threats. Oregon's voter registration database is backed up every day, and we have detection devices in place to notify us if an attack were to occur. Thus, if our voter registration database were to be hacked, we would be able to revert to the previous day's clean file by restoring the backup. We would then focus on those few transactions that were impacted during the time in question to ensure the accuracy of every voter registration record. Oregon statutes require voting systems to be certified. A federally accredited voting system test laboratory checks for vulnerabilities and provides our Elections Division with a report that helps us perform our own analysis to ensure systems are secure before certifying them. Once these certified machines are purchased by the counties, they are never connected to the internet and are physically secured at all times. Since Oregon voters use paper ballots, all ballots are counted in secure rooms equipped with security cameras at each of Oregon's 36 county election offices. Another key accuracy step in Oregon's security process is logic and accuracy testing of voting systems. This testing takes place before and after every election and is required by state law. Before voters' ballots are scanned, test ballots are marked and run through the tally machines to ensure the results from the voting machines match how ballots are marked. This same process is followed after the election to ensure there was no change to the programming of the ballot counting machines. Every Oregon county elections office also audits a random sample of ballots where an elections official counts ballots by hand to ensure the published results accurately reflect the votes cast by Oregon voters. This confirms that there has been no tampering with the vote tally systems and the results are accurate. We are in the middle of an information war, and that is why I am determined to be transparent and give you real information about how your government is serving you. I want you to know that you can be confident in our election system and that paper can't be hacked. Notice to Possible Candidates. March 6th is the deadline to file to run for office for the May 15, 2018 Primary Election. There are many offices up for election at the state, county, and local levels. I encourage you to look at the list and see if there is a position that you feel you could fill. We have made the process easy for you. To find out which offices will be up for election this year, who has already filed to run for each office, and deadlines that must be met, please look on our website. For some positions, you will need to file with my office at the Secretary of State office, and for others you will need to file at the county elections office. Manuals on how to be a candidate can be found here.